50 Free Ocean Themed Graphics! 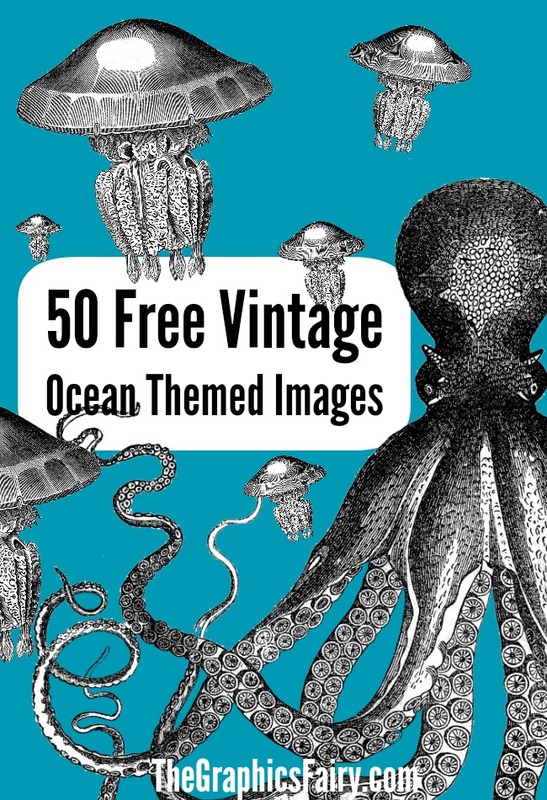 I have 50 favorite free ocean themed graphics for you today! Boats, sea creatures, bathing beauties, and shells are a few of the pretty images you’ll find in this post, and they’re perfect for summer craft projects. These also would be great if you like coastal decor too! 1) Beautiful Sailboat on the Ocean. 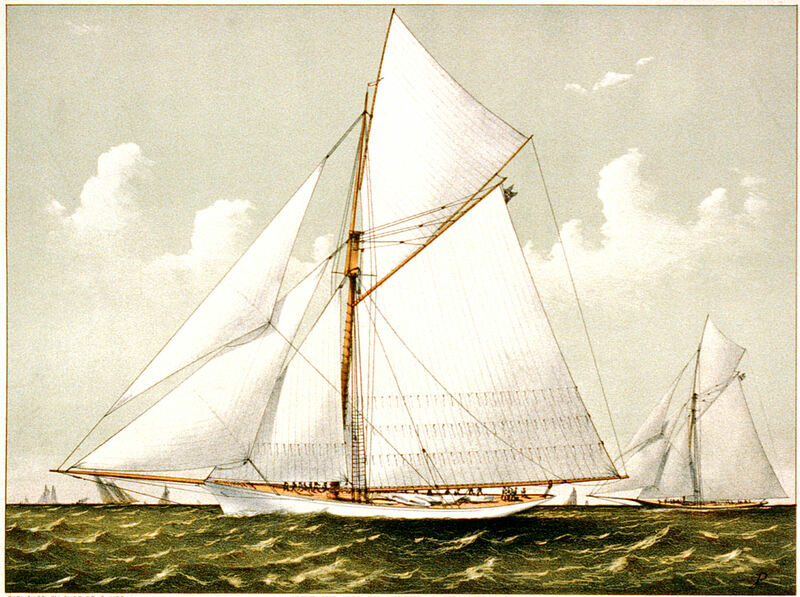 A great antique sailboat graphic from an old print. This image shows a large sailboat with its white sails on the ocean. The sky is a cool color with fluffy clouds and the water has a greenish tone and looks choppy. A few other sailboats are also out on the ocean in the background. 2) Nautical Card with Sailboat and Life Ring. This Victorian card shows a sailboat on the water on a nice clear day. The image is surrounded by a white life ring with rope around it. The card’s background is in lovely blue tones. 3) Mariner’s Compass. This post shows two compass etchings from an old geography book. There is a mariner’s compass and an engineer’s compass, and both look like they are in metal cases with glass tops. 4) Captain at the Wheel. This black and white image shows a mustached man dressed in white slacks and a coat, leaning on a ships wheel. He has the cutest captains hat and is looking through binoculars. 5) Anchor in Round Frame. 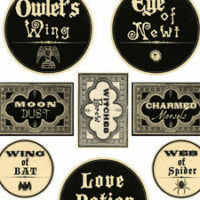 This image comes from a piece of old ephemera. The original black and white image shows an anchor with a scale hanging from it in a circular leaf-like frame. The post also includes just the anchor without the scales. 6) Black & White Ship Clip Art. This lovely boat is from an early Printer’s book, Circa 1828. Such a gorgeous image with all the sails, the American Flag, the choppy waves and the little sailboat in the background. The detail is really amazing on this piece, and most likely a wood print. 7) Shell Natural History Print. This lovely sepia-toned shell print has six sets of shells in blue and brown tones. Each shell type includes the same shell from the top (colored side) and a view from the inside of the shell. 8) Red and Black Coral Specimens. This post shows three different types of coral etchings. The first image looks like thick branches the second is branchy with a more spiky look to it, and the third image looks like a gnarly branch of twigs with twigs overlapping and crossing over each other. The original black and white versions as well as a red and white version are included. 9) Scallop and Nautilus Shells. A group of shell etchings in black and white that shows a partially open scallop shell, another scallop type shell from the top and side, and an extinct shell that looks very close to a nautilus shell. The images are old engravings with lots of detail. 10) Triton Shell Engravings. This post has two black and white seashells from an early natural history book. The Variegated Triton has black and white striping, and the Turnip Turbinella as a similar shape but appears to have a smoother texture. 11) Seashell Postcard Frame. This lovely colored postcard shows about 16 shells of different sizes and shapes organized in a rectangular frame. The post includes a blank version of the postcard, which would be perfect to add your own text or make tags from. 12) Awesome Clam Shell Engravings. These shells came from an Early Natural History Book. The post includes a detailed image of a Giant Clam Shell, showing 2 views, both the inside of the Clam Shell and the outside. Next we have something called a Fasciolaria, and the last one is a Pyrula. 13) Spiky Shell Natural History Print. These images come from an early encyclopedia and include spiky versions of seashells, along with a fun graphic showing the geometry of the shell. 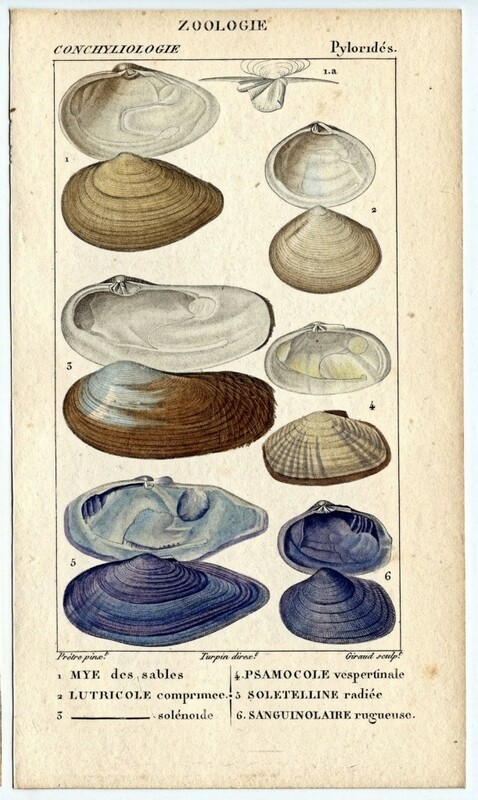 Each print is on its original sepia background, and two of the shells have been copied from the page and offered individually. 14) Lodge Style Fish Printable. This lovely sepia-toned natural history plate shows a green and blue fish with its mouth open in the foreground. A lovely lake scene is in the background as a blue line drawing. The tranquil scene shows a lake, trees and sail boats. 15) Sunfish and Minnow Engravings. 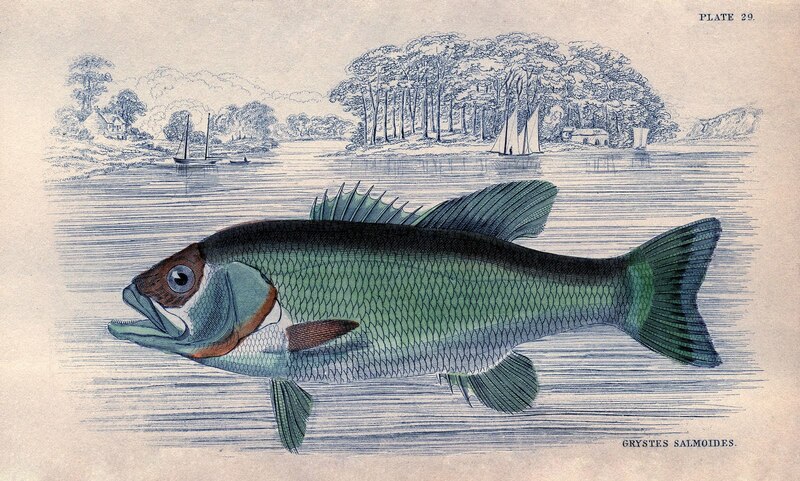 Here are two early fish graphics from an 1880’s Science book. The engraving of the sunfish is broader and its scales have a sublet pattern. The minnow is long an narrow with detailed scales. 16) Three Fish Engravings. Three great fish engravings are in this post from a few years back. The first looks like an angel fish to me with a long, triangular fin on top and a second triangular fin on the bottom. The second fish has a parrot-like nose, and the last fish reminds me of a discus fish, with its very round body, short fins and striping. 17) Edible Fish Diagram. This image comes from an old cookbook, and is an informational plate with 12 different salt and freshwater fish with their names below. The black and white images of a salmon, trout, herring, flounder, etc. is on sepia background. 18) Baleen Whale in Ocean. An early natural history engraving of a baleen whale in the ocean. The whale has surfaced and is blowing water through his blowhole on the rough seas. 19) Fierce Dolphin Image. This engraving comes from a 1754 encyclopedia. The image shows his full body from the side. His mouth is slightly open and his eye has a look of determination. 20) Narwhal Engravings. This post has two images of a spotted narwhal whale, with its long, unicorn-like pointy horn. One image shows the whale swimming in rough seas. The second image shows the whale on a beach. The background has been removed from the second option, to offer just the whale by itself. 21) Primitive Whale Engraving. This whale has a great primitive shape that you see used alot in areas along the northeast coast. 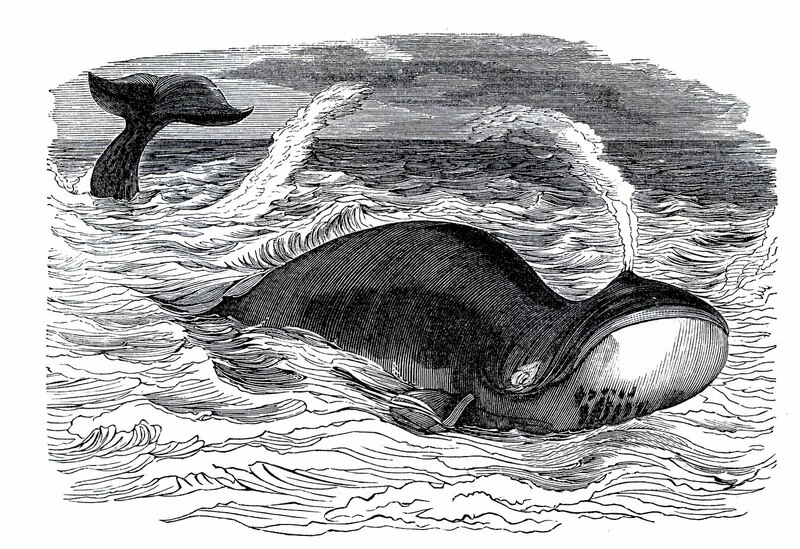 The engraving shows a whale from the side, with a traditional boxy shape. He looks to have a kind eye and is blowing water out his blow hole too! 22) Sea Lions Print. A great image of a colony of sea lions on the rocks. Some are lying on the rocks, some look like they’re in conversation, and others are hanging out in the water. The print has rich brown, tans, and blue tones. 23) Sea Horse Clip Art. This image of a full body of a sea horse with a cute curly tail facing left. There is a black and white version and an aqua and white version. This image came from a Circa 1896 Design book. 24) Jellyfish Engraving. This adorable jellyfish is from an old natural history book. The black and white drawing shows a dome-capped jelly with short spongy-like tentacles. 25) Octopus Natural History Print. This rare 1835 color image shows an octopus and a snail on a sepia background. The original version is a natural history print, but the octopus has been separated out for a second variation. The octopus is in great brown and yellow tones with all eight tentacles curled around his body. 26) Octopus or Cuttle Fish Engraving. This detailed engraved image of a cuttle fish is over 100 years old. The black and white details give great texture to his body. 27) Wishful Mermaid Etching. 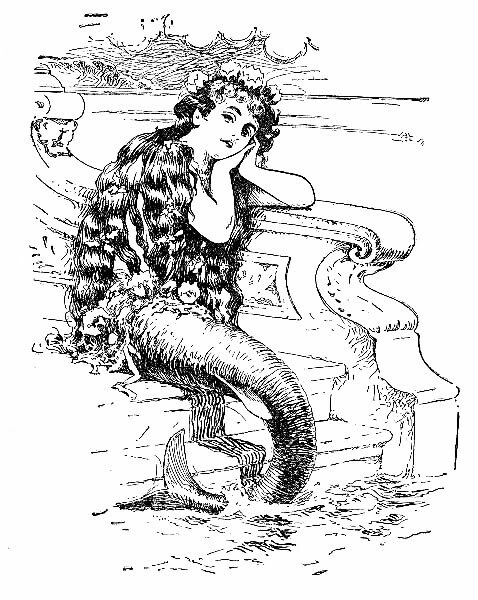 This pretty mermaid is sitting by the sea on some stairs. She has a dreamy expression on her face. I just love the crown of barnacles on her head and her long flowing hair. 28) Lady by the Sea. This is a beautiful old print of a woman in a long flowing dress, on a rocky ledge at the sea. This reminds me of the way a mermaid may sit on a rocky ledge watching sailors and ships. 29) Beautiful Mermaid in Frame. This black and white image shows a mermaid half out of the water, in a fun curvy frame. She has a crown of coral on her head and appears to be brushing her long curly hair. 30) Soaring Seagull. A nice seagull soaring through the sky that looks like he’s looking for a meal on the beach. This pretty color image has a black head and black-tipped wings with greyish blue toned feathers. 31) Dove a Sea. This pretty illustration shows a dove is flying over a greenish blue sea with a small branch in his beak. The lovely and peaceful sky is done in light blue tones. 32) Regal Flamingo. This one is a pretty colored German etching in peach and salmon tones. The image of a flamingo is a full-body view from the side. I just love his regal expression and long legs and neck. 33) Swallow Over the Sea. Another pretty postcard image of a grey swallow with pink cheeks swooping across the blue green ocean. The swallow has a pretty flowering branch in his beak that looks like apple blossoms. 34) Swimming Gull. This etching shows a black backed gull swimming on the water. A second image in the post shows two gulls, possibly a couple, in the marsh with grasses behind them. One gull is standing and the other is lying down. 35) Bathing Beauty with Striped Suit. This fun old sepia-toned postcard shows a dark haired woman with her striped bathing suit on, standing in front of a parasol. She is carrying a lunch pail and has cute lace up boots on. 36) Cute Bathing Beauty. This one is a pretty posed image of a bathing beauty sitting with crossed legs and her hand on her chin. The photo has been tinted, and she has a great green scarf on her head, a bright red bathing suit, and the cutest lace up shoes with anchors on them. 37) Bathing Beauty Beach Photographs. This post has three images of women and girls at the beach. The first photo shows four women in vintage bathing suits with a trophy and appears that they are participating in some contest. The second one is a lovely lady in her white swim suit playing with a sweet white pup, and lastly a little girl with a marvelous tin pail and sailor’s outfit. 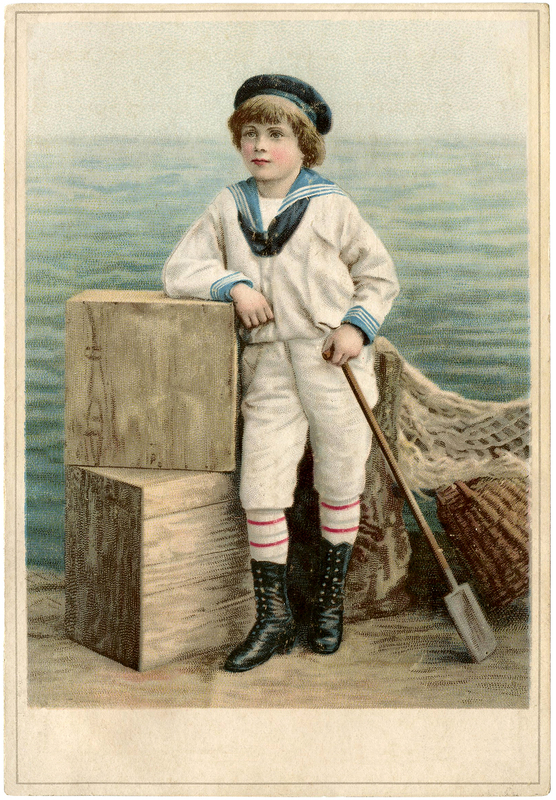 38) Sailor Boy Trade Card. This card shows an adorable little boy dressed in a traditional blue & white Victorian sailor suit. He is standing on a dock with oar in hand with the ocean waves behind him. I just love his red striped socks too! 39) Mermaid Girl Tinted Photo. This beautiful French tinted real photo postcard shows a little girl dressed in a mermaid costume. The photo is done all in blue tones with a painted ocean scene in the background and cardboard rocks in the front. 40) Victorian Boy at the Ocean. The card shows a little boy by the sea in a dark blue sailor suit with a toy boat in one arm, and holding a straw hat in the other. He is standing with some rope, netting, and driftwood at his bare feet. I just love his rosy cheeks! 41) Little Girl in Boat with Cross. This old sepia photo postcard shows a beautiful young girl in a row boat. She’s holding a cross and her hands are folded prayerfully. The card doesn’t have any writing on it, but it was likely a sympathy card, or maybe a prayer card for someone at sea. 42) Lobster Diagram. This 1906 etched graphic comes from a children’s book. The original diagram has the parts of the lobster’s body labeled. There is also a pure black and white and a red and white version with the scientific labels removed. 43) Hermit Crab Engraving. This post has two excellent Free Hermit Crab Stock Images! These black and white engravings come from a rare Circa 1880’s Printer’s book. One image shows the hermit crab from the top with his legs out and ready to explore. The second image shows the hermit crab curled up inside his shell. 44) Victorian Crab. 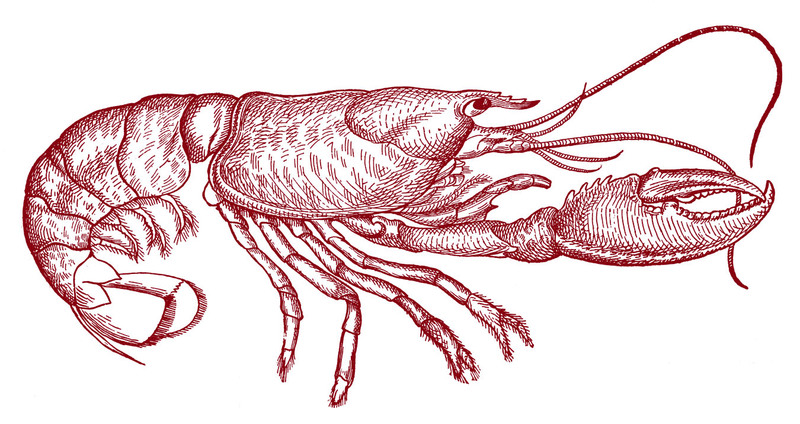 This is an old engraving of a crab, called a swimming crab, with a spotted pattern to his shell. I just love the detail on his claws and legs. This image is black and white on a sepia-toned background. 45) Three Crab Species. This post has three engravings of three different crab species, all from a full-body aerial view. The first crab has a rounder shell and looks like the traditional crab image. The second crab has a fun pattern on his shell. The third crab has a more angular shell with big front claws. As a bonus, there is also a silhouette of a seahorse included in the post! 46) Retro Beach Scene. 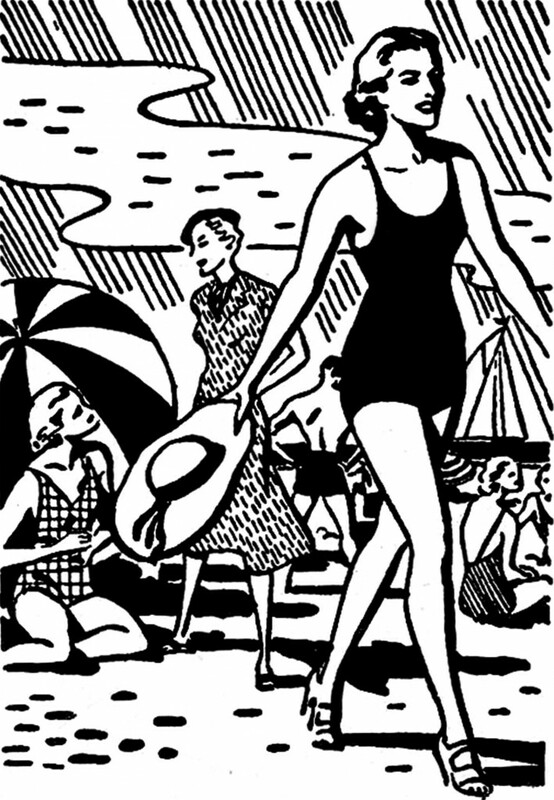 This one is a cute retro black & white beach scene showing people in fashionable swimsuits. The second image in the post shows a Tropical Beach Scene with a Cruise Ship off in the distance. Lastly we have two Sailboats sailing on the Sea. These came from a 1940′s Printer’s Book. 47) Retro Beach Drive. This fun black and white image is from the 1940’s and shows a couple in a car, driving along the beach coastline. The beach is full of striped beach umbrellas and people, and there are sailboats cruising in the background. 48) Child at Beach Sketch. 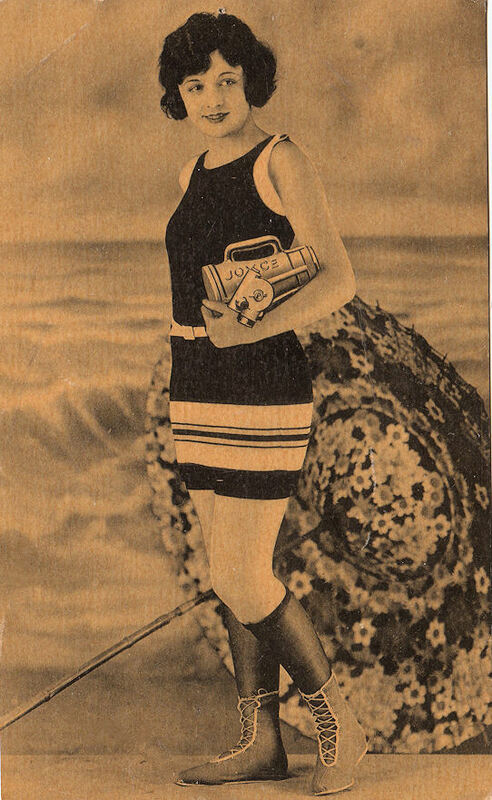 This fun image comes from a 1920’s children’s book and shows a young girl in a dress on the sea shore. She has a few pails and a shovel to help build a sandcastle. The ocean is in the background, and there is a cute snail that seems to be following her in the foreground. 49) Shovel and Pail Line Art. This cute vintage line art image from a 1940′s children’s tracing and coloring book shows a darling children’s shovel and pail. I love the adorable Goldfish and Wave design on the side of the pail. 50) Child Swimming Illustration. This super cute vintage beach child image was scanned from a 1920’s children’s rhyme book. This one shows a sweet Child playing in the Ocean, with an old time bathing costume on. The rocks are covered with seaweed and a little starfish. We hope you enjoy these 50 Favorite Free Ocean Themed Images! Feel free to share your creations in the comments below or on our Reader Submissions page! Don’t forget there are almost over 100 ocean themed images in the sea archives on the site too. Enjoy! « Marvelous Free Vintage Corn Image! I am doing a cottage beach theme in my town home and these will be perfect transferred on wood and pillows. I hope when I am done they will be show worthy for you to see. Hello; these ocean graphics are great! But how do I put them on Pinterest as a grouping?? Please advise. thanks a lot! Hi Winona, Just pin the blue Octopus image at the top of this post and that will bookmark this page on Pinterest for you, then you can come back here and visit any time you need an ocean themed graphic! Wow! These graphics are awesome. I just stumbled upon it today and was inspired to transfer them onto the inside of some seashells (of course!) using tattoo transfer paper. I made a whole collection of them from seashells collected from last summer. So pretty in a basket together! Hi, do you have any graphic that would depict what may be on a traveling trunk? I’m doing a room with a nautical theme and have seen a trunk (coffee table) with graphics on it for $800. I don’t to spend that much!! Can you help?? Thanks a bunch! Hi Jane, try clicking on Printable Transfers on the top of this page. There are some French Hardware Printables that may work for your project. Or you can do a search for Trunks, using my search bar, to see what some of my readers have used on their Trunks. 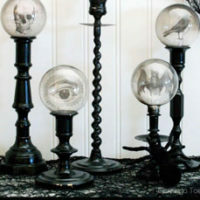 Awesome collection Karen. Thank you so very much – or as I would say: MUCHAS GRACIAS! do you have a site you use to enlarge your graphics? I thought I saw a link for a poster creating site here, but now cant find it. Hi Karen, I just discovered your web site and I feel like a little kid in a candy store. Wow – what an amazing collection of images you’ve amassed! Thank you so much for making them available to us. I’ve just recently entered the world of Mail Art and I’m having so much collecting images for future use.